With the body count rising, Decker and Jamison dig deep to uncover a sinister truth in Baronville, which could be the canary in the coal mine for the rest of the country. But even the duo's skills and Amos Decker's infallible memory may not be enough to save the town, or them, from becoming the next victims. Track It. This book reaches £3.79 about 13 times a year. Log In to track David Baldacci on eReaderIQ. 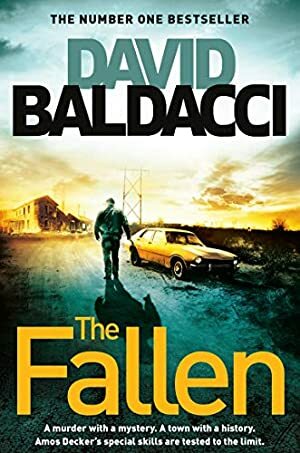 to be notified each time the price drops on any book by David Baldacci. to stop tracking David Baldacci. We started tracking this book on February 4, 2018. This book was £8.54 when we started tracking it. The price of this book has changed 47 times in the past 438 days. The current price of this book is £4.47 last checked 2 hours ago. The lowest price to date was £3.79 last reached on April 14, 2019. This book has been £3.79 16 times since we started tracking it. The highest price to date was £9.99 last reached on September 27, 2018. We last verified the price of this book about 2 hours ago. At that time, the price was £4.47. This price is subject to change. The price displayed on the Amazon.co.uk website at the time of purchase is the price you will pay for this book. Please confirm the price before making any purchases.